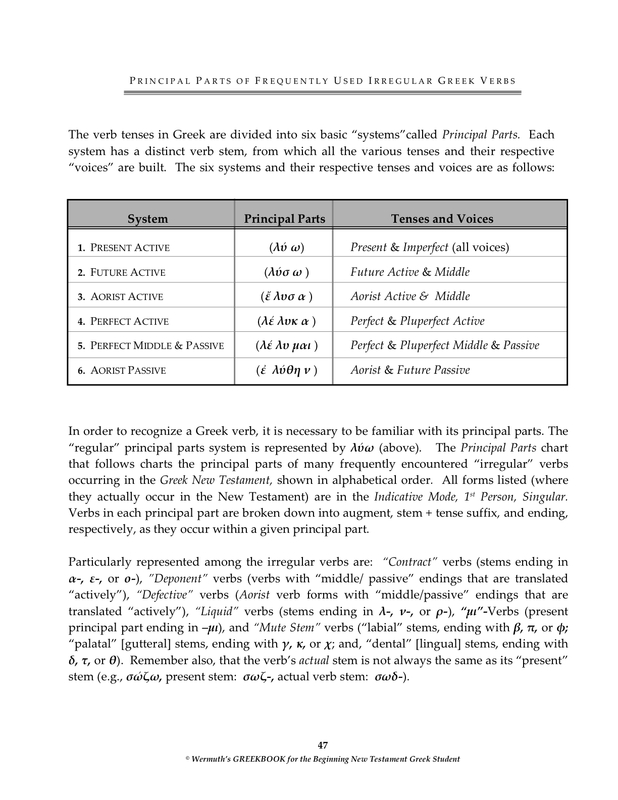 NT Greek Grammar | "It's All Greek to YOU!" 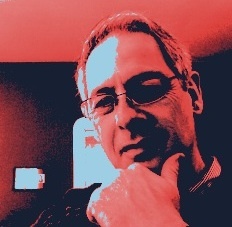 “Abso-tively, Posi-lutely” Unusual: The Greek “Genitive Absolute” Construction! 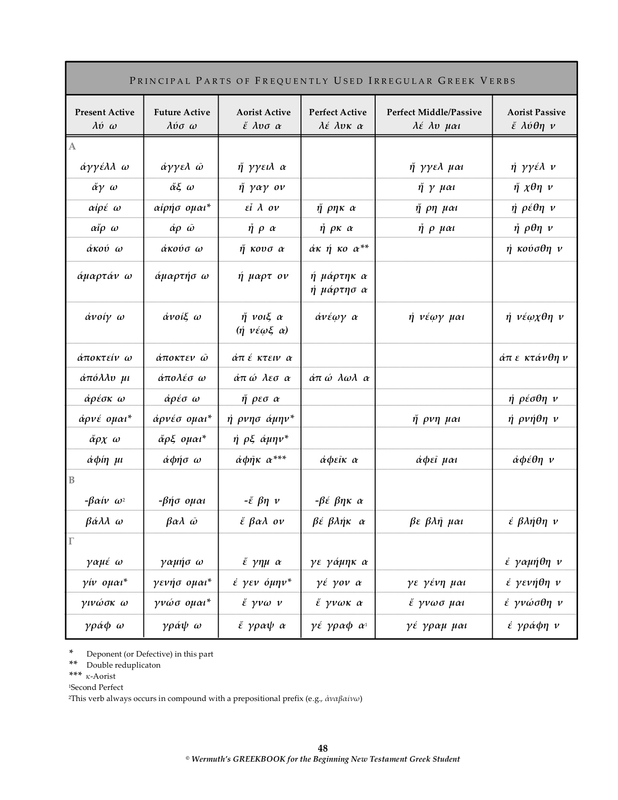 (1) Identify the “Genitive Absolute” construction = a circumstantial participle and a noun or pronoun, both occurring in the genitive case in a “dependent” clause. (2) Translate the main (“independent”) clause of the sentence (the part not containing the “genitive absolute” construction). (3) Identify the time frame (present or past time) of the Indicative verb in the main (“independent”) clause. 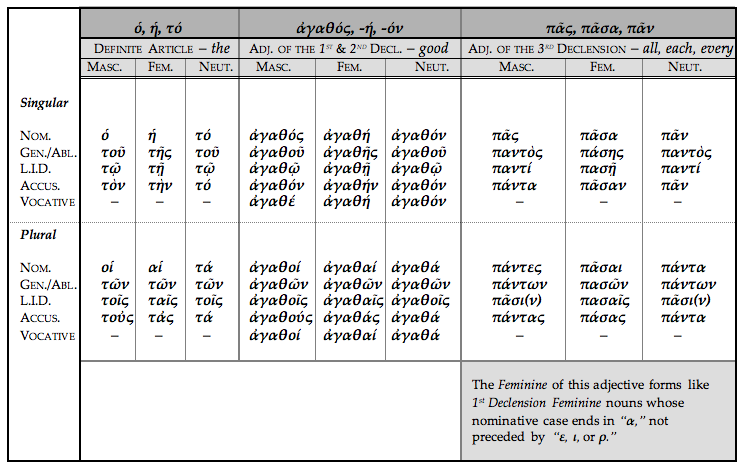 The time frame of the participle in the “genitive absolute” construction will be translated either as being “simultaneous” with the time frame of the Indicative verb of the main (“independent”) clause, or as occurring “prior” to the time frame of the main Indicative verb (see point 5, below). (4) Translate the noun or pronoun in the “genitive absolute” construction (“dependent” clause) as if it were in the Nominative case. And finally . 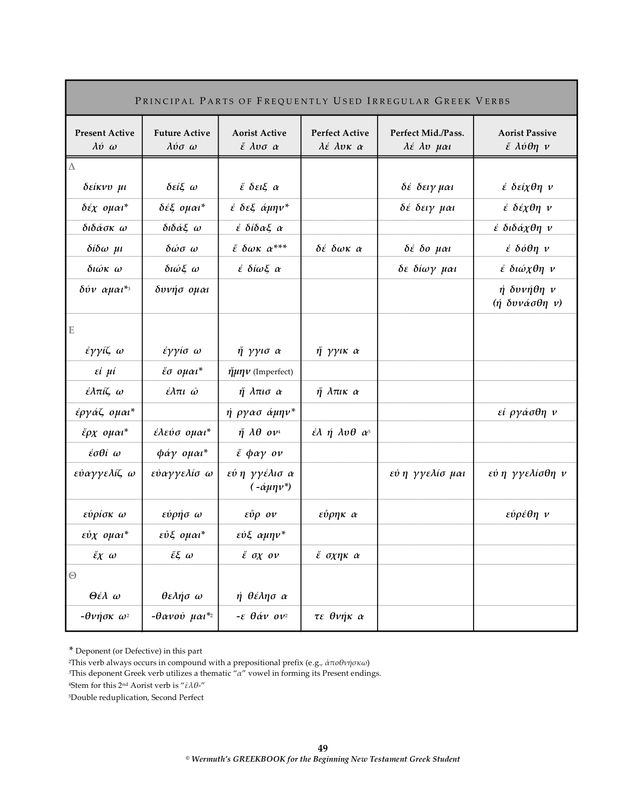 . .
(5) Translate the genitive participle as an indicative verb, preceded by the adverbial, circumstantial word “While…” if the participle is a Present tense participle, or with the word “After…” if the participle is in the Aorist tense. 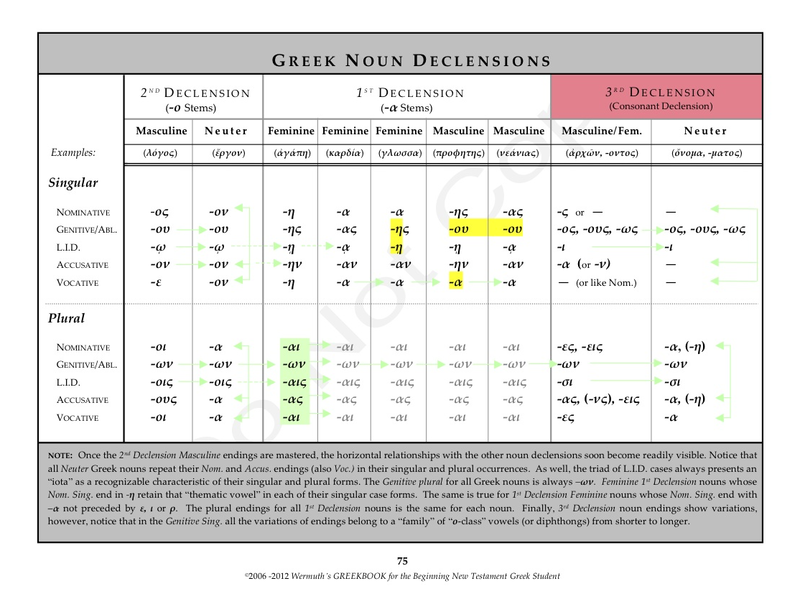 Click here for a downloadable PDF, also available anytime from the sidebar under the category GREEK “UNUSUAL CONSTRUCTIONS”.